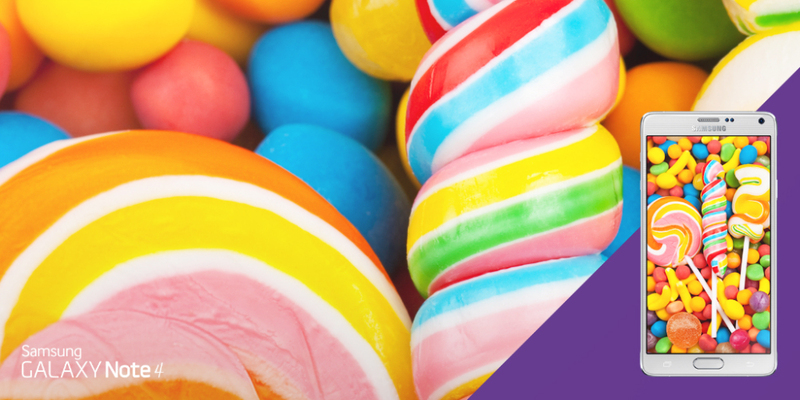 Today Samsung hinted us with something in a new post on Twitter promoting the Galaxy Note 4 phablet, the company seems to be hinting at a future Lollipop update for the device. “Anyway you look at it, the #GALAXYNote4 Quad HD Super AMOLED display is pretty sweet,” Samsung wrote, posting an image of the phablet with lollipops displayed on the screen (image above). The Galaxy Note 4 and Galaxy S5, Samsung’s 2014 flagship handsets, are likely to be the first ones to receive the Lollipop update, although Samsung is yet to make anything official. Online publication SamMobile points out that the Galaxy Note 4 Lollipop update may arrive in late November or early December, which would indeed be pretty quick, considering that Nexus devices will be updated to Android 5.0 in November.